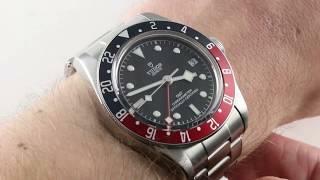 The Tudor Black Bay Steel was one of Tudor's standouts at Baselworld 2017. The Tudor Black Bay Steel 79730 measures 41mm and packs a Tudor MT5612 automatic in-house chronometer caliber with a 70-hour power reserve. 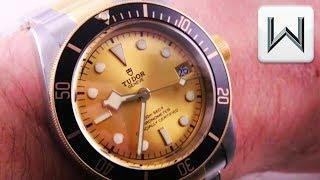 The Tudor Black Bay Steel also measures 14.8mm in thickness and 50mm from lug-to-lug.